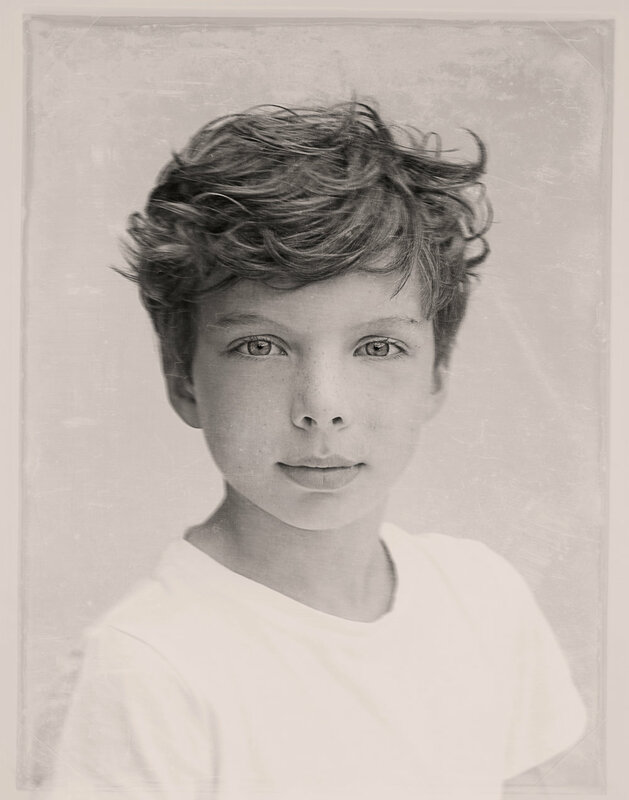 It all started with this portrait of my youngest son. I’d had the idea for a while; to see if I could replicate the old fashioned style of portraiture from the early days of photography. I have always been drawn to their timeless quality, and was intrigued to see if I could recreate the openness and unique stillness of those early photographs. I’ve since been commissioned for over 100 of these portraits and they’ve become my signature product - see below for some examples. Sessions are usually on a Sunday in my daylight studio, either in Dorset or Chelsea, London, and take 20 minutes per child. The price is £125 per child + p&p, and this includes a beautifully edited large 16x12” print of each child. If you have any questions, email me at sophie@sophielindsay.com, and I look forward to seeing you soon!